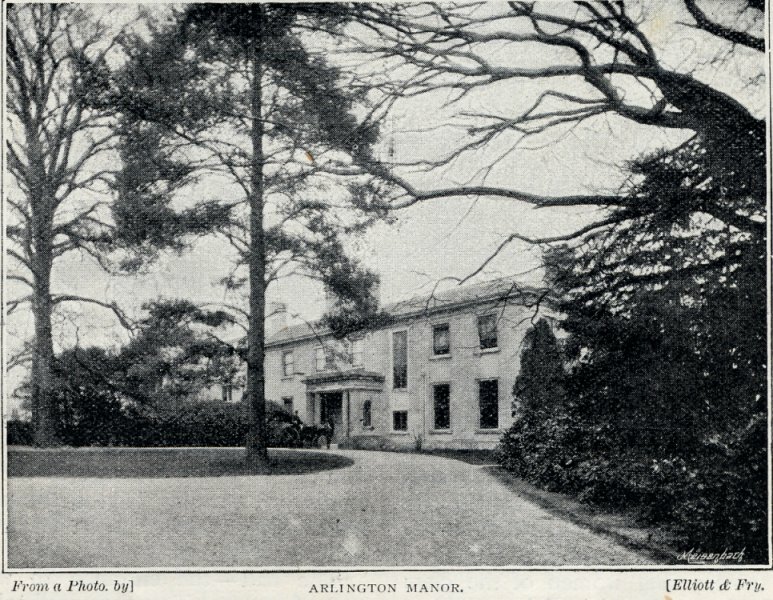 Arlington Manor is a large country house 3 miles north of Newbury, Berkshire. It was bought by the trustees of Mary Hare Grammar School on 22 September 1947 for £21,400. Since those days, the price of property has risen considerably. In 2007, a large country house in a 100 acre estate in Berkshire would now cost upwards of £5 million. 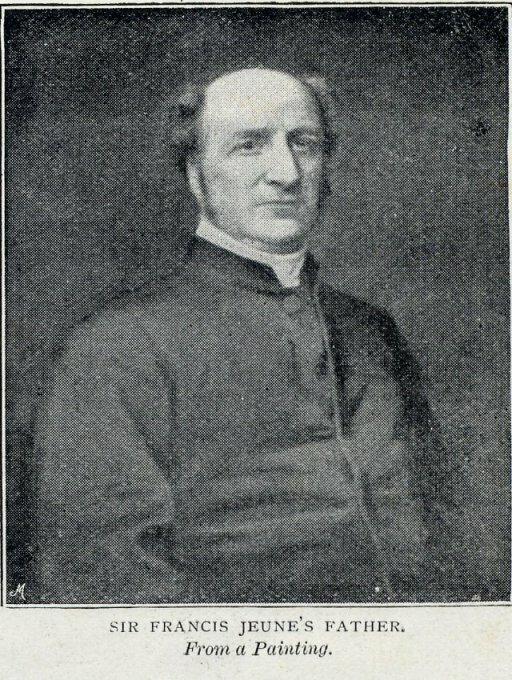 Edgar Corrie was born 22 June 1787 and he married Margaret, daughter and co-heiress of Aston Byrom of Moor Hall, Cheshire. 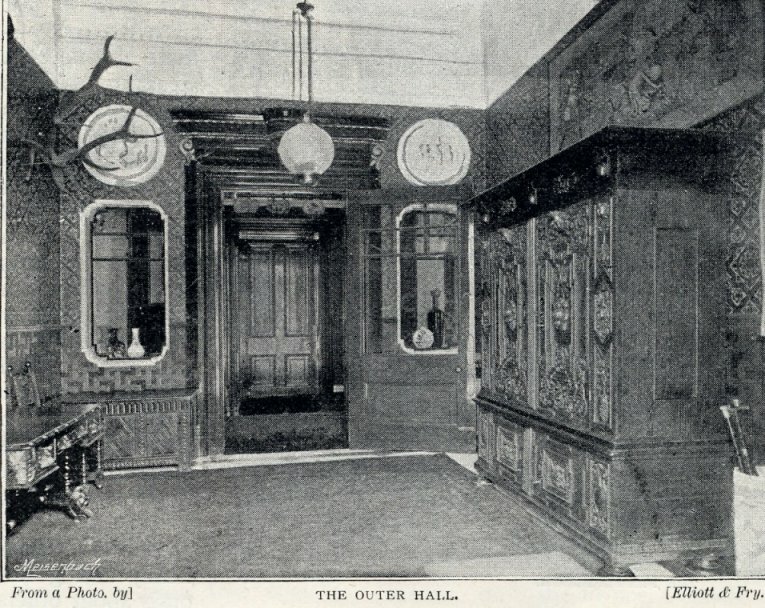 He worked as a merchant at one time based in Liverpool. The Corrie family is descended from the Scottish landed gentry, and further back into Norman baronetage (Baron Robert de Courci, b. 1006). 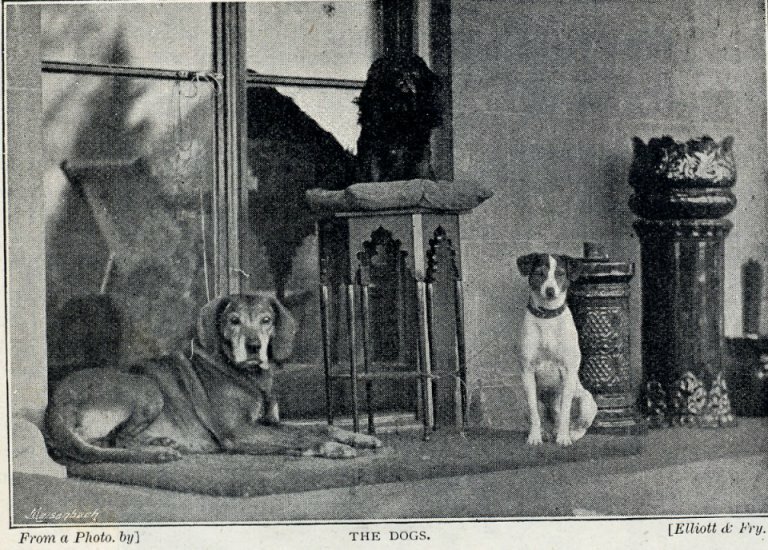 Edgar and Margaret had nine children. 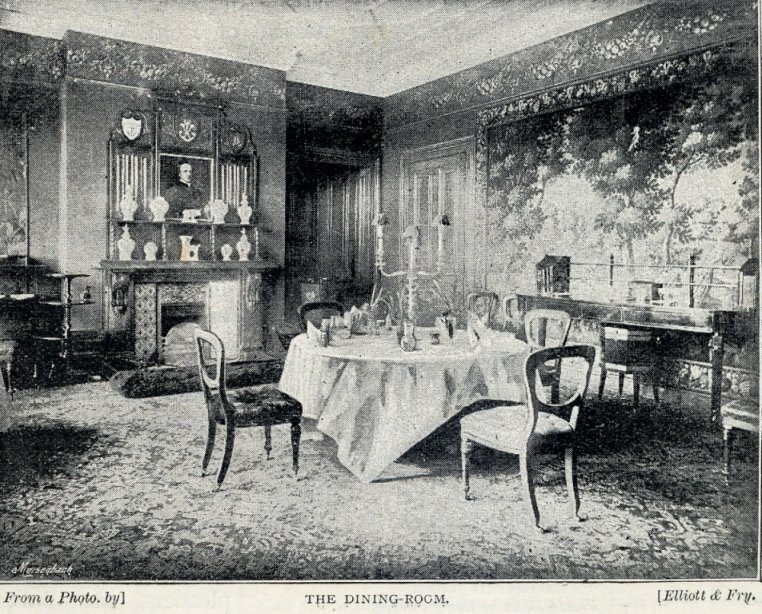 On 27 June 1879 the manor was sold by auction to the next owner, Francis and Mary Jeune. 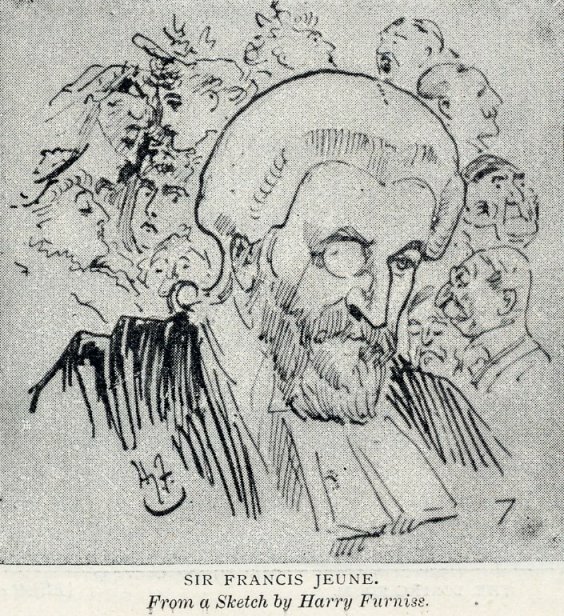 Francis Jeune was born 17 March 1843. Educated at Harrow School, and graduated from Oxford University. 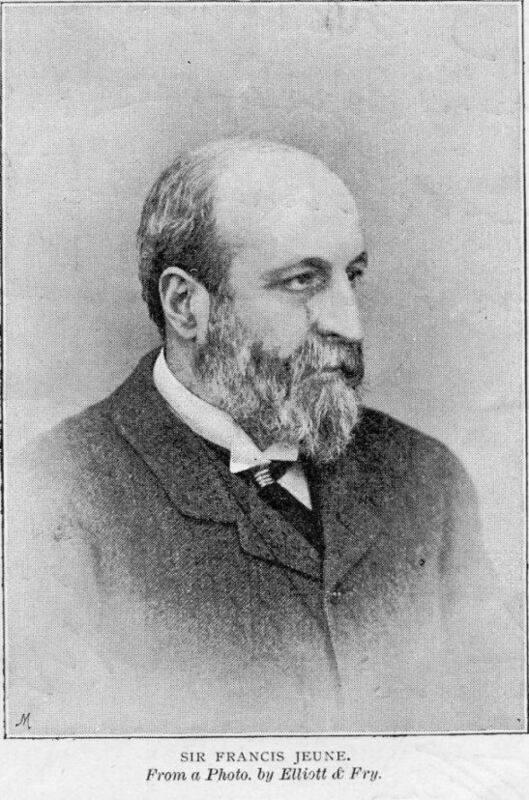 He embarked on a career in law, as barrister, then made a judge in 1891. 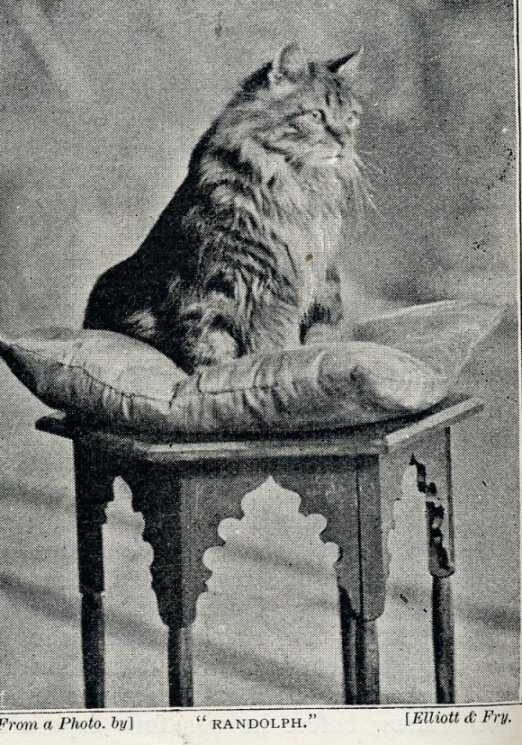 In 1894 he was the President of the Probate, Divorce, and Admiralty Division. 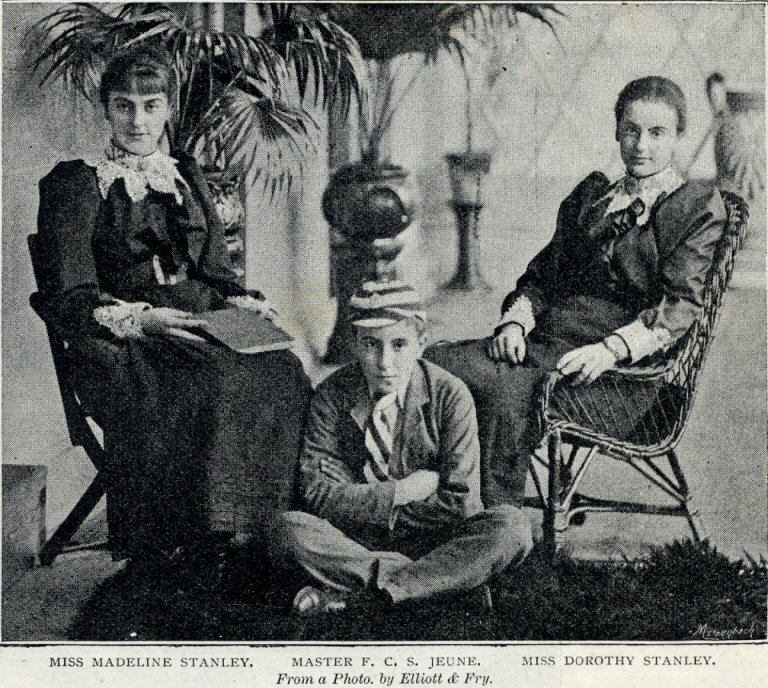 He married Susan Mary Elizabeth Stanley (widow) 17 August 1881. He had one son by this marriage. 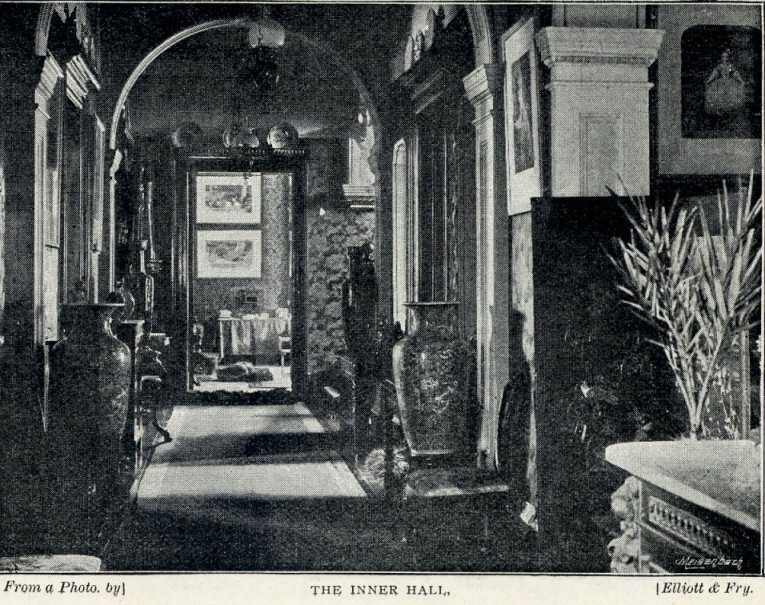 In 1891 Sir Francis was created 1st Baron St Helier of the Island of Jersey. 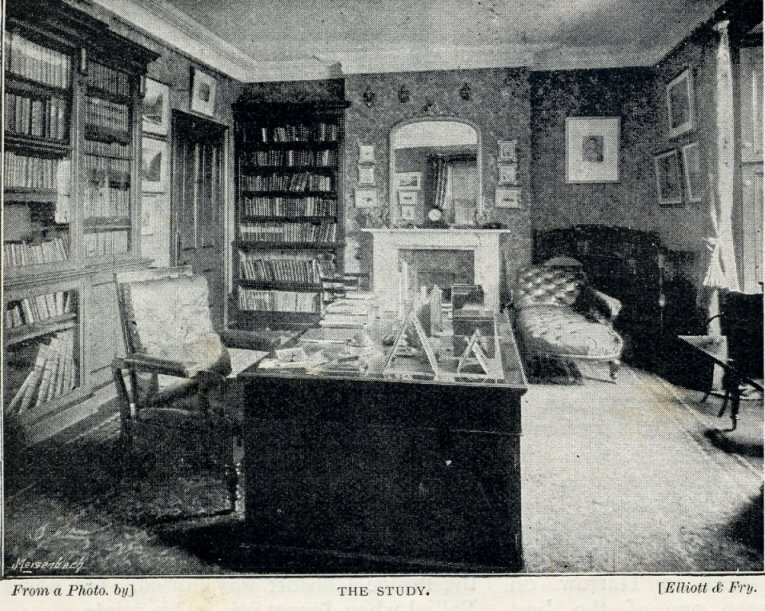 Sir Francis was also resident in 79 Harley Street, London, where he died 9 April 1905. 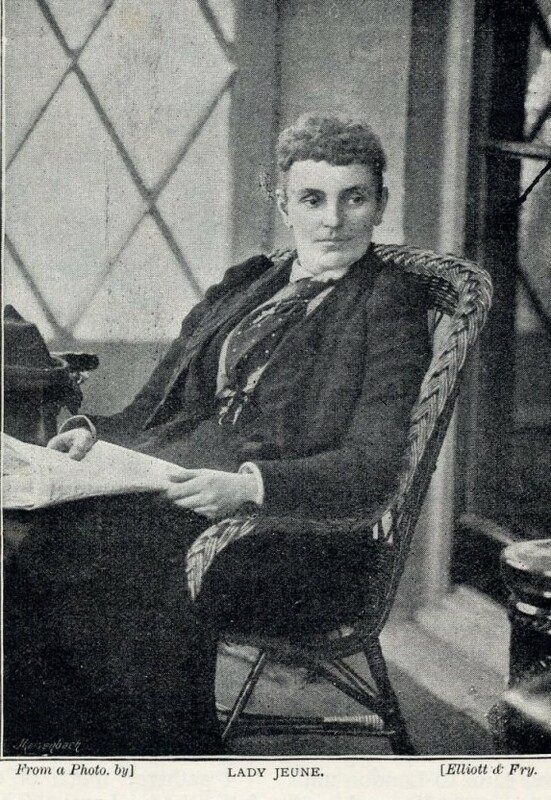 His wife, Mary Jeune, held a reputation for being a "society hostess", and received many important visitors. She was also involved in charitable work in London, including a holiday fund for poor children, and a "Rescue Home". She died 25 January 1931. 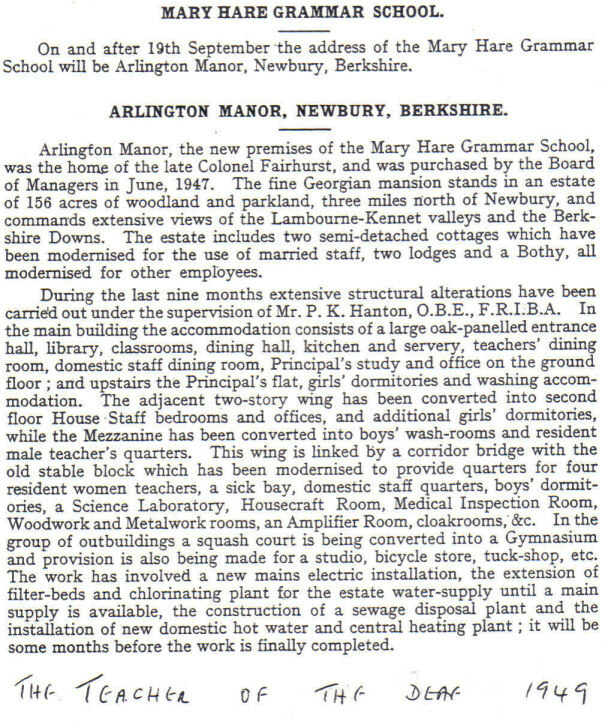 "About a couple of miles from Newbury - rich in reminscence of the troublesome times associated with the Cromwellian regime - is Arlington Manor. It is a substantially-built country manison - built of a peculiar spieces of Bath stone - and no matter from which of its four sides you view the outlook, it is 'as fair as fair can be'." 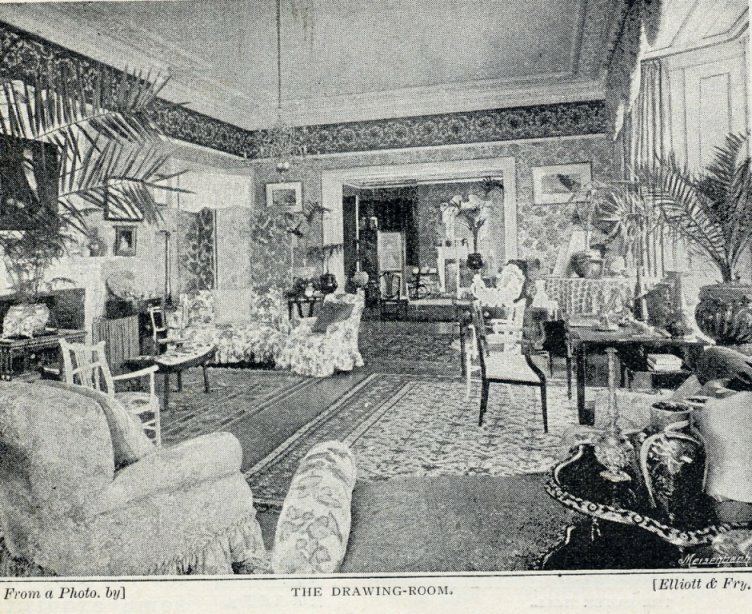 "Perhaps , however, the view from the veranda is the finest. The lawn is immediately before you; a little series of valleys and hills rise and fall until all is lost in the blue line of hills miles away..."
James Ashton Fairhurst was born 1867. 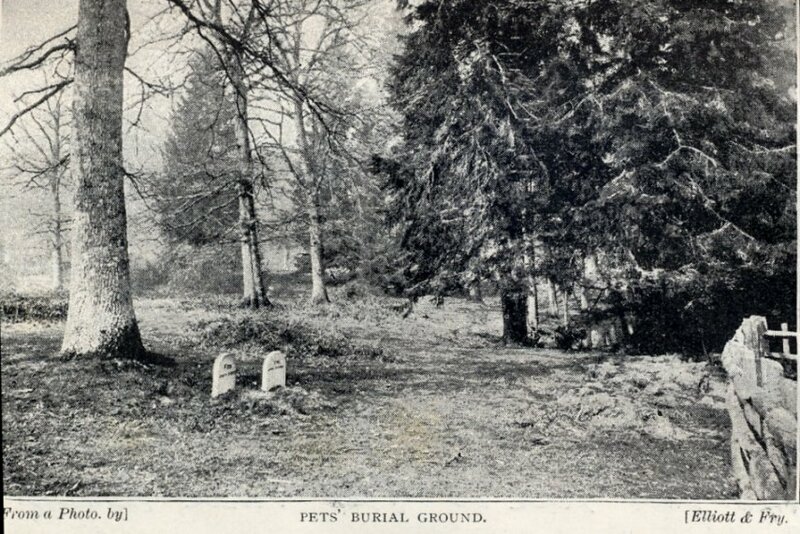 He was also a keen golfer, and financed the building of Crookham golf course. 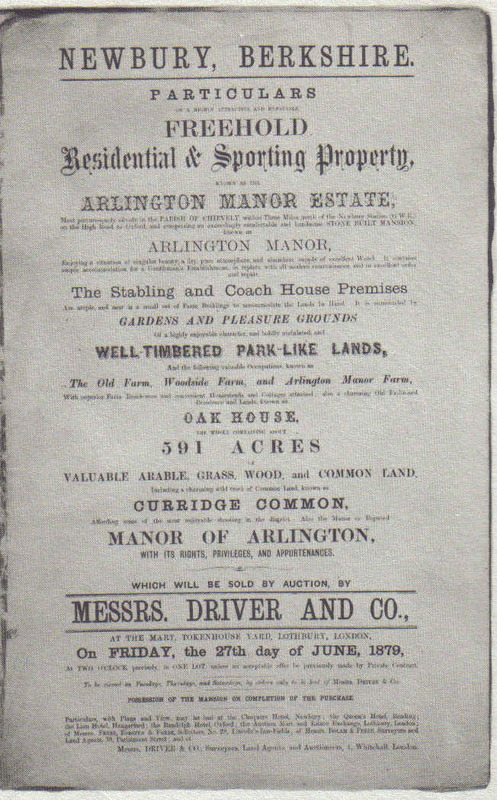 It is thought that Lady Jeune continued to reside in Arlington Manor until at least 1925. 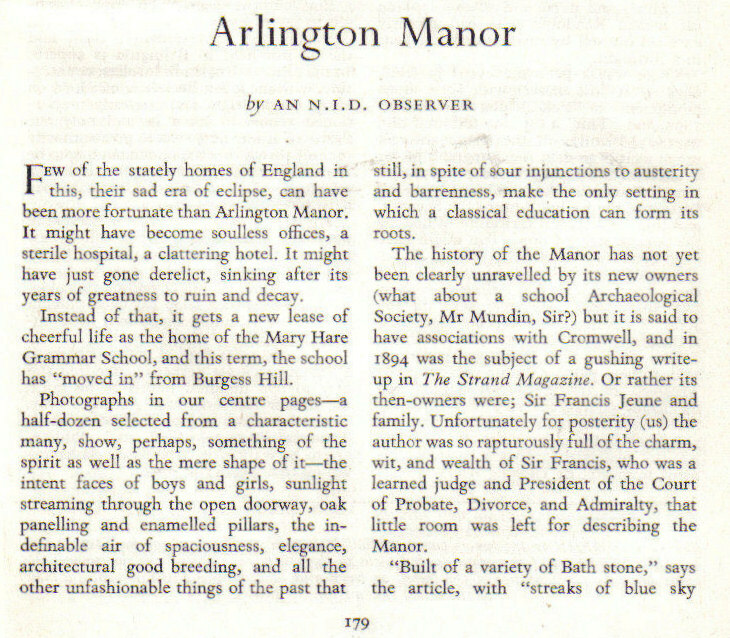 Two publications announced the move into Arlington Manor in 1949. 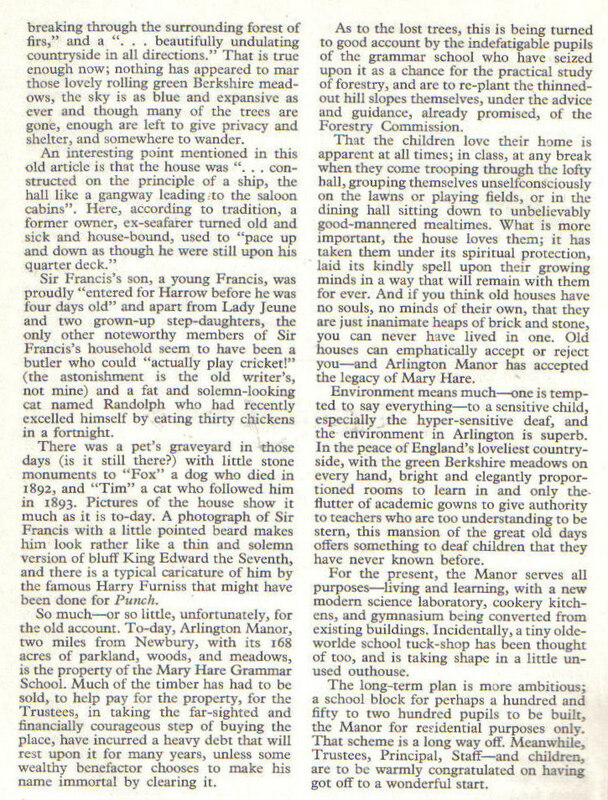 Researched by Tony Boyce, Victor Markham, Neil Alderman, Mr. Alan Treasure. 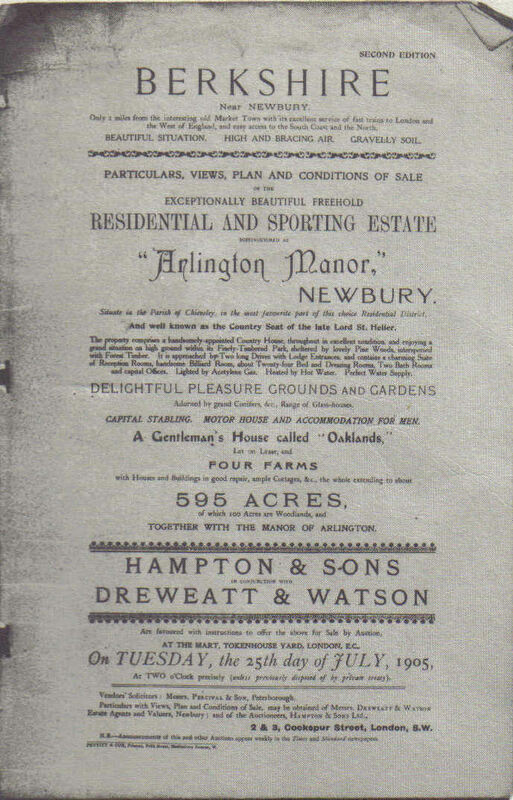 Arlington Manor photographs by Elliott & Fry, 1894, published in Strand magazine, volume 7, 1894.